Harbhajan Singh relaxes after a practice session in Harare, Zimbabwe. A visitor stands behind the ceramic sculpture 'Pain receptor' (2011) by Urban Gruenfelder during a press preview at the international exhibition of contemporary arts 'OSTRALE'O15 Handle with care' in Dresden, eastern Germany. 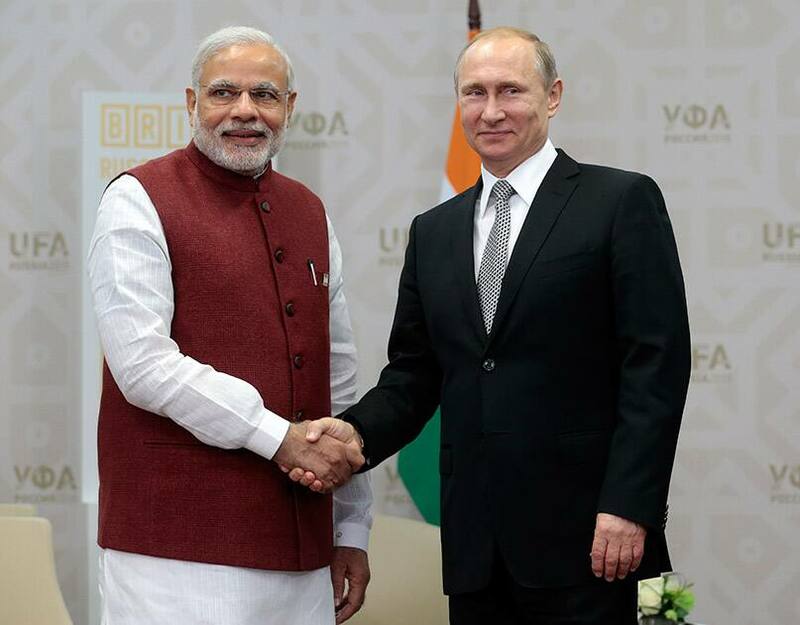 Russia's President Vladimir Putin meets with Indian Prime Minister Narenda Modi in Ufa, Russia. Ufa hosts SOC (Shanghai Cooperation Organization) and BRICS (Brazil, Russia. 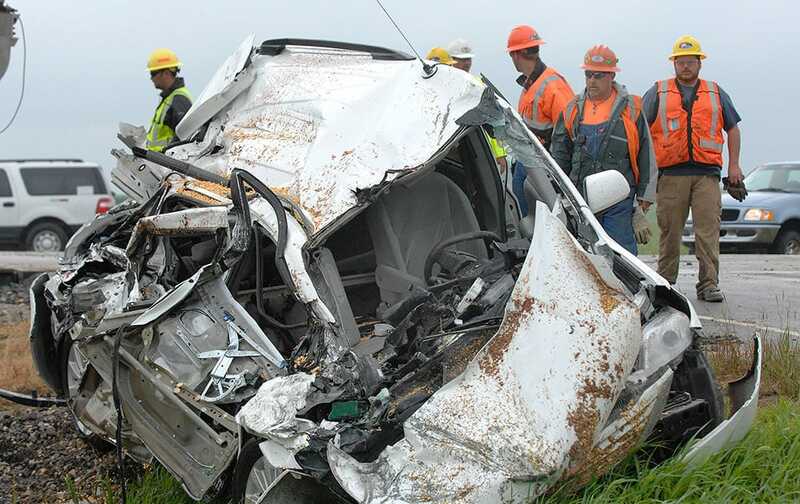 Officials inspect the remains of a van after it was struck by a derailed freight train north of Pontiac, Ill. 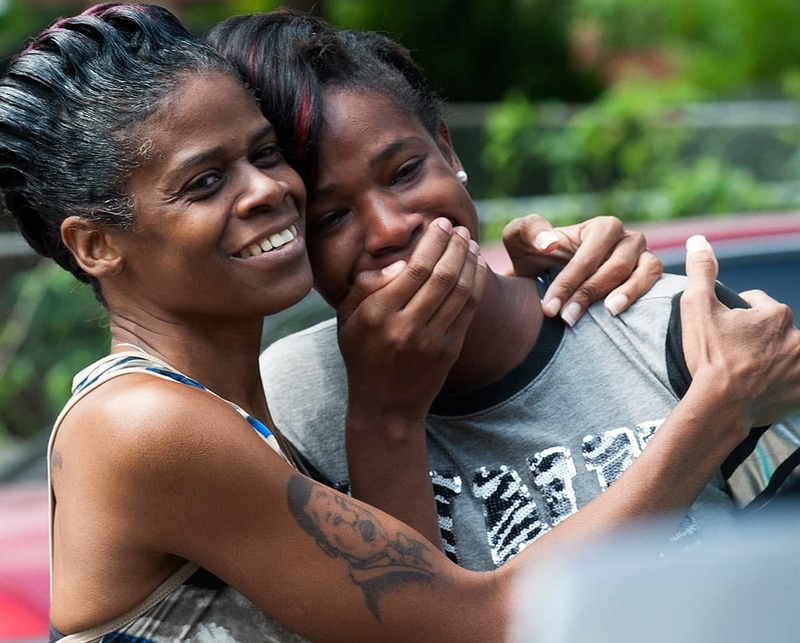 The wreck closed the main rail line between Chicago and St. Louis, disrupting Amtrak service along the route. 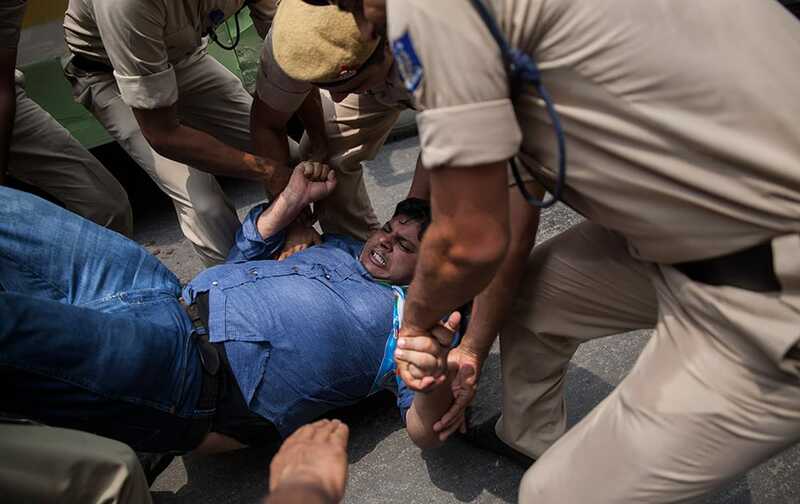 An activist of India's Congress party's youth wing is detained during a protest against Shivraj Singh Chauhan, chief minister of the central Indian state of Madhya Pradesh, in New Delhi. 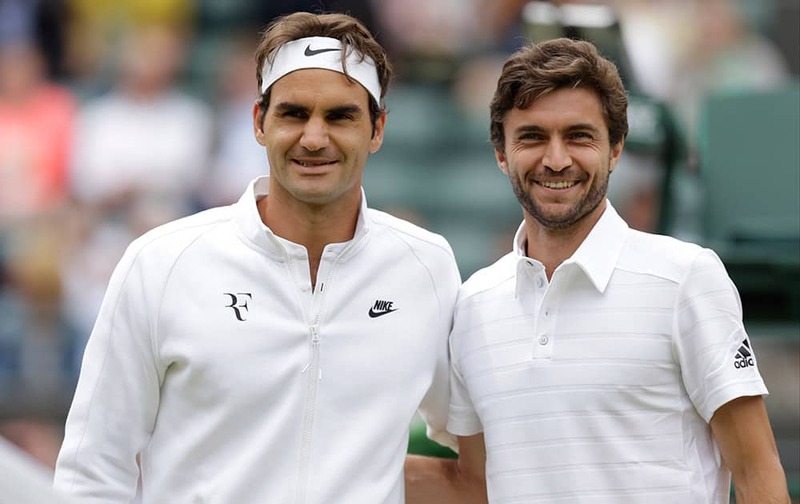 Roger Federer of Switzerland and Gilles Simon of France pose for a photograph ahead of the men's quarterfinal singles match at the All England Lawn Tennis Championships in Wimbledon, London. 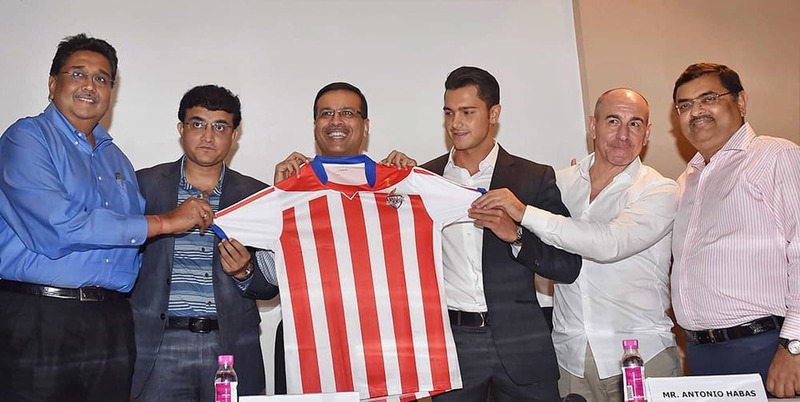 Atletico de Kolkata team owners Sanjiv Goenka, Sourav Ganguly, Harshavardhan Neotio, Utsab Parekh Head Coach Antonio Habas and Sports Director Alberto Marrero unveiling the jersey of the team in Kolkata. 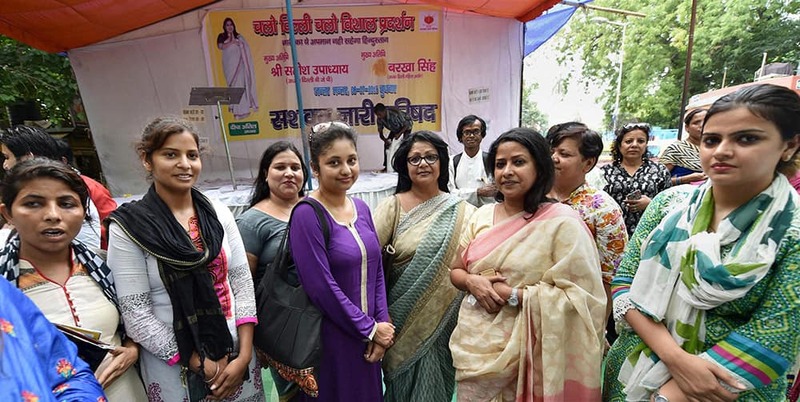 Aam Aadmi Party (AAP) leader Somnath Bhartis wife Lipika Mitra with Delhi Commission for Women chairperson Barkha Shukla Singh, Congress leader Sharmistha Mukherjee and others during a dharna organised by Sashakt NARI Parishad at Jantar Mantar in New Delhi. 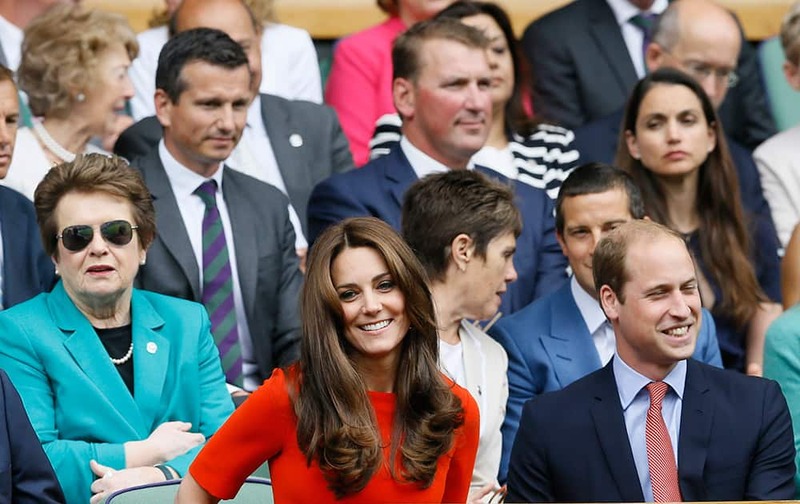 Britain’s Prince William, the Duke of Cambridge and Kate, the Duchess of Cambridge sit on Centre Court, with former Wimbledon Champion Billie Jean King in background left, at the All England Lawn Tennis Championships in Wimbledon, London. 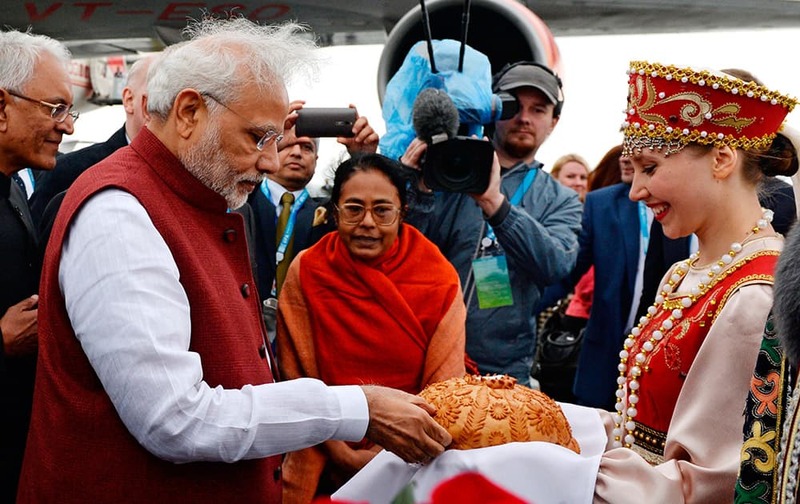 Prime Minister, Narenda Modi, tries traditional salt and bread upon arrival in Ufa, Russia. 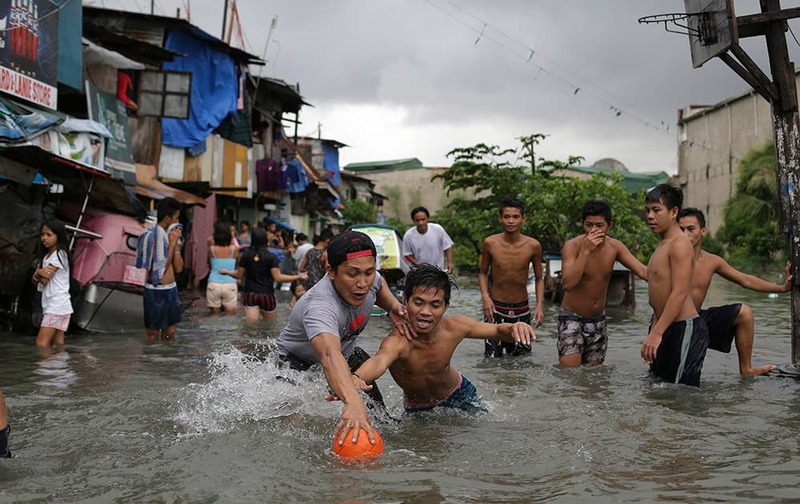 Filipino boys scramble for a ball possession as they play basketball in floodwaters from a swollen creek at a coastal village in Malabon, north of Manila, Philippines. 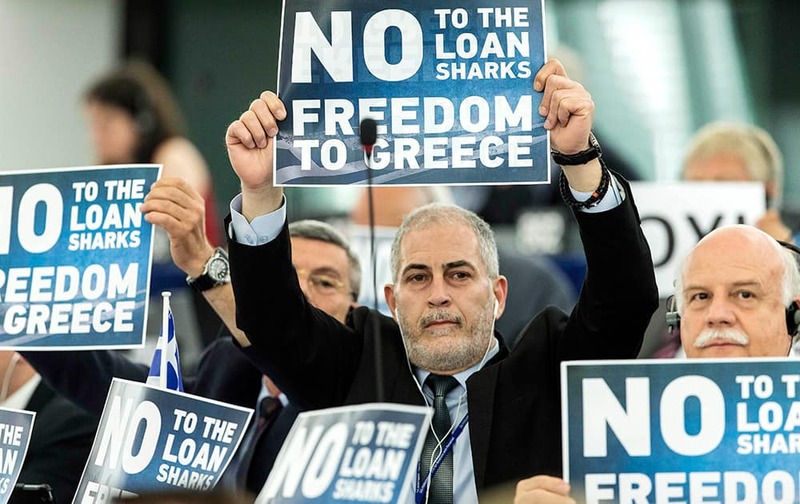 Far-right E.U Parliament members display posters before Greek Prime Minister Alexis Tsipras delivers his speech at the European Parliament in Strasbourg, eastern France. 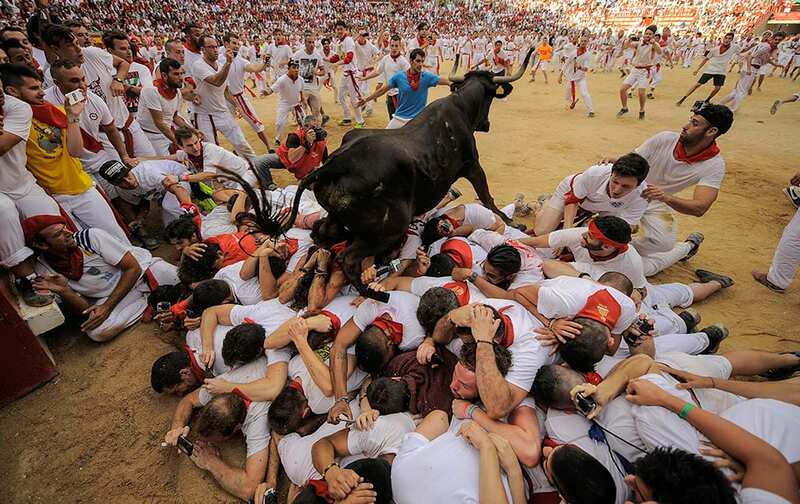 A cow jumps over a group of revelers on the bull ring, at the San Fermin Festival, in Pamplona, Spain. 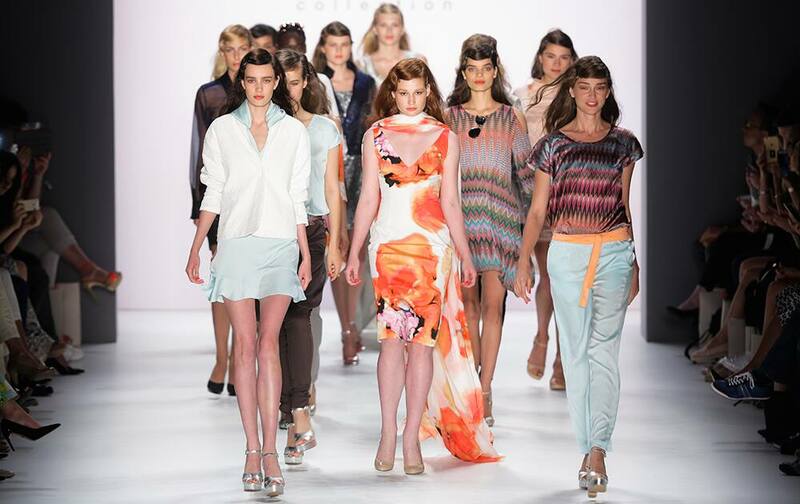 Models wear creations of designer Anja Gockel Spring/Summer 2016 fashion collection during the Mercedes-Benz Fashion Week in Berlin, Germany. 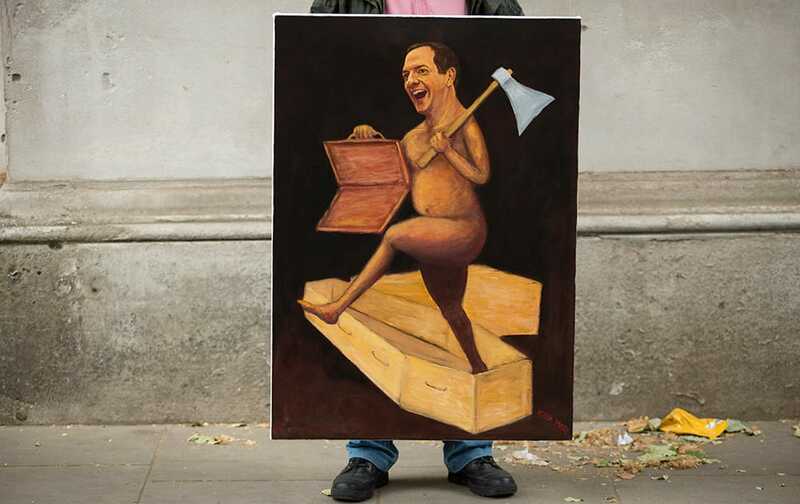 Artist Kaya Mar holds his painting of British Chancellor of the Exchequer George Osborne on budget day outside Downing Street in London. 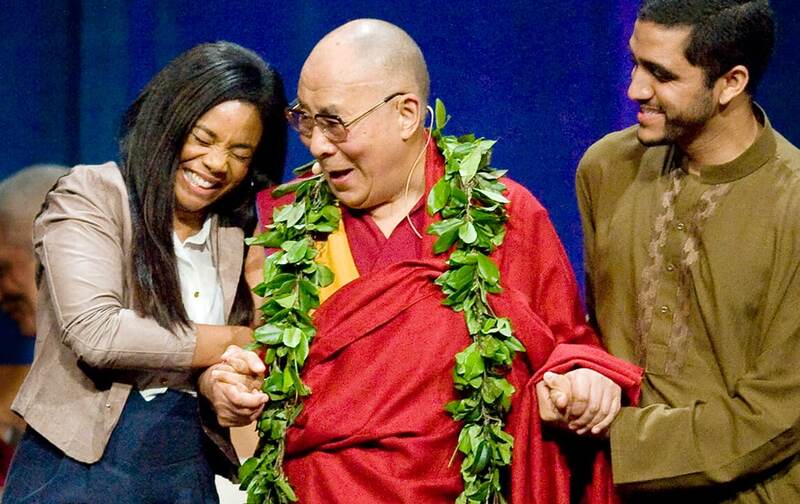 Actress Regina King, shares a laugh with the Dalai Lama after she remarked how handsome he is during his three day 80th Birthday and Global Compassion Summit at the University of California, Irvine, in Irvine, Calif.
Caprise Debose and Kaliyah Watson, of Westland, play together during the annual Mud Day at Nankin Mills Park in Westland, Mich.
Pope Francis hugs a child during his visit at the San Francisco Church in Quito, Ecuador. 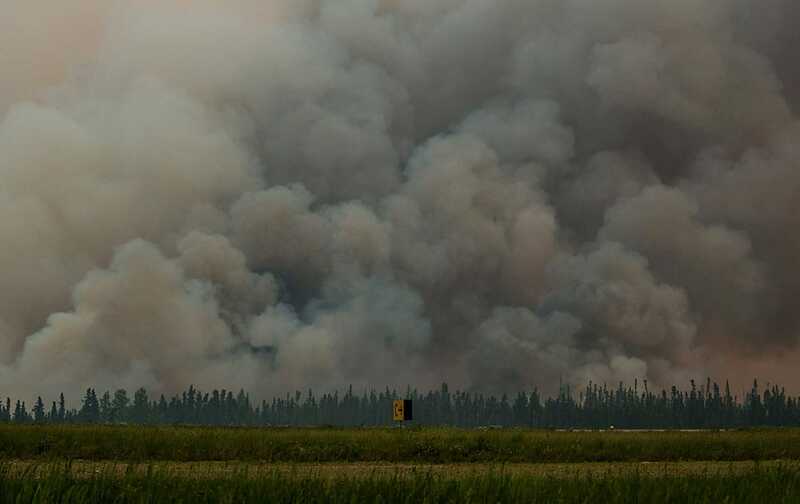 smoke billows from a wildfire near La Ronge, Saskatchewan. 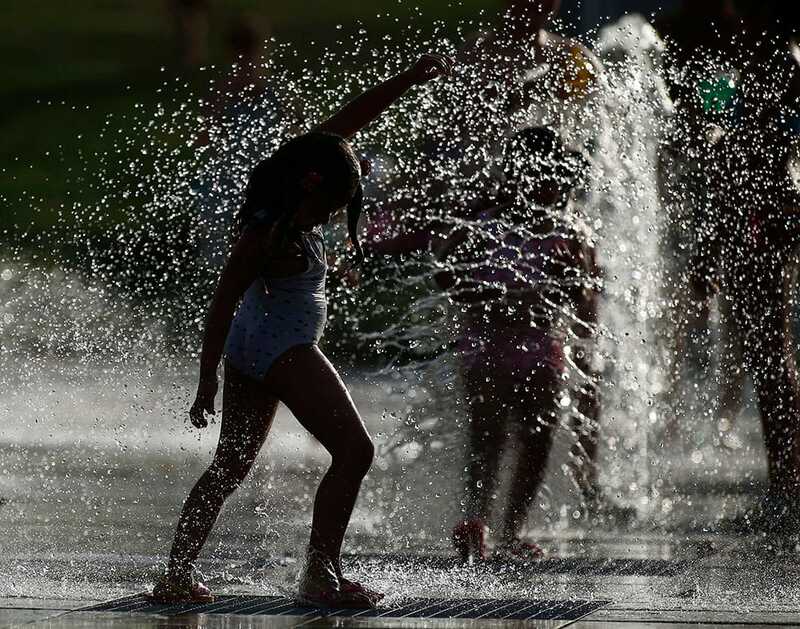 Jessica Byrd, right, reacts with her mother Hattie Byrd after seeing a rendering of the home being built for her during a groundbreaking ceremony in Montgomery, Ala.
Children play as they cool down in a fountain in a park as a heatwave continues in most parts of Spain with temperatures reaching around 40 degrees Celsius (104 degrees Fahrenheit), Madrid, Spain. 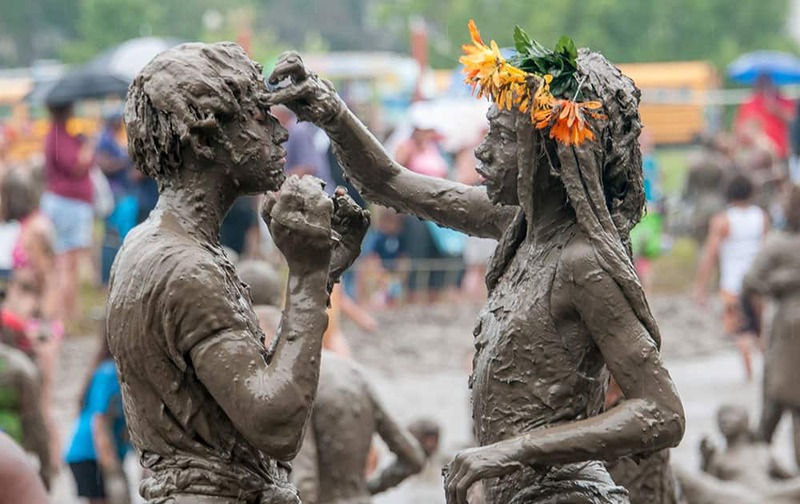 A reveler drinks wine during the San Fermin festival in Pamplona, Spain. 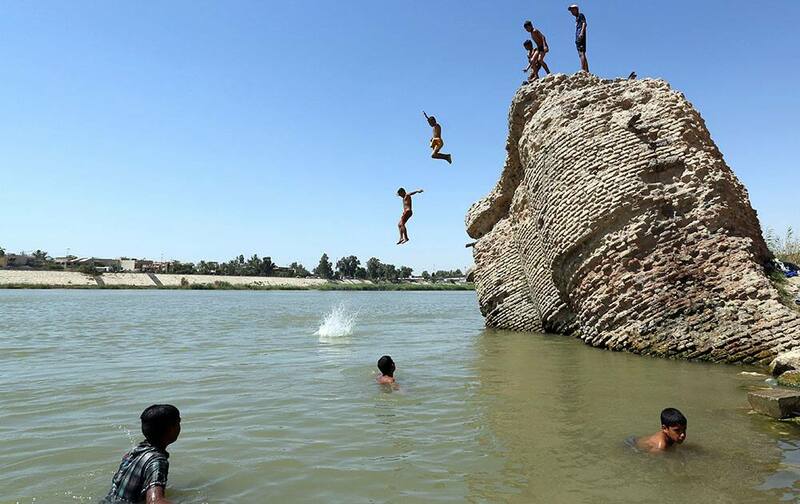 Children jump off the ruin of an old building into the Tigris River to beat the heat in Baghdad, Iraq. Serena Williams of the United States jumps as she celebrates winning the singles match against Victoria Azarenka of Belarus, at the All England Lawn Tennis Championships in Wimbledon, London. 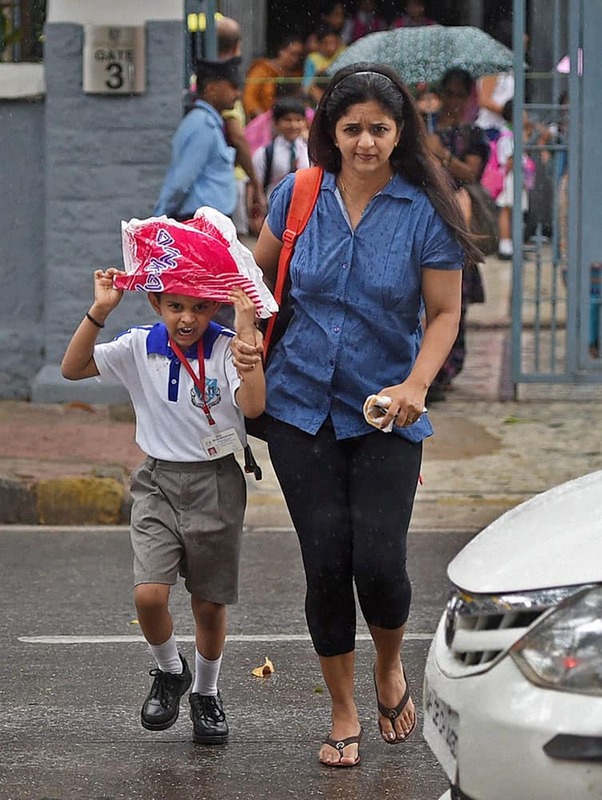 A school boy along with his mother runs for shelter as it rains in Mumbai. Inside pics: Shahid Kapoor-Mira Rajput's wedding ceremony!